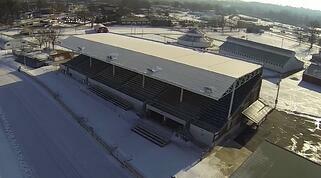 In 1987, the Wayne County Fairgrounds in Wooster, Ohio installed a FiberTite Roofing System on the Grandstand entertainment building. The Grandstand is the centerpiece of the fairgrounds, hosting concerts and tractor pulls during fair season and other events throughout the year. The roof is just over 17,000 sq. ft. and is exposed to extreme fluctuating temperatures, snow and hail. At the time of installation, the fair board members expected the investment to last 15 years. Nearly 29 years later, although the roof is still performing, board members decided it was time to replace it to ensure many more years of protection. “The reason we went with another FiberTite roof is because of the past history,” says Mike Buchholz, Fair Board member and Head of Buildings and Grounds. 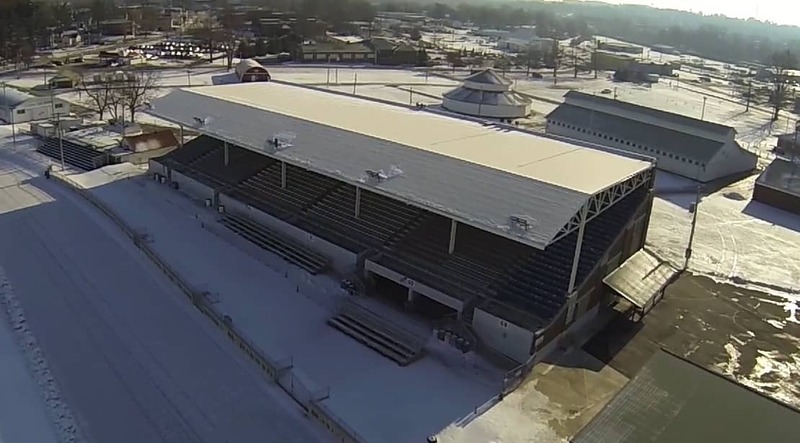 “We wanted something that would hold up and be low maintenance.” The longevity of the FiberTite Roof provides Board members peace of mind that the investment will last for the next generation of officials who oversee the Wayne County Fairgrounds. Seaman Corporation has manufacturing locations in Wooster, Ohio and Bristol, Tennessee. In addition to FiberTite, Seaman Corporation also manufacturers fabrics for more specialized markets, including military, dock seals, marine applications, pool covers, truck tarps, mower covers and others.